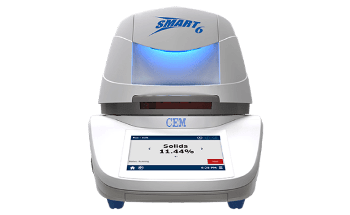 The SMART 6 is the world’s most technologically advanced microwave moisture analyzer for fast moisture/solids analysis. The system is based on the groundbreaking new innovation called iPower®, for sample drying. 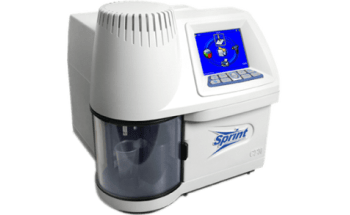 This patented dual-frequency drying energy source offers the most rapid and thorough drying available, for the broadest range of sample types. 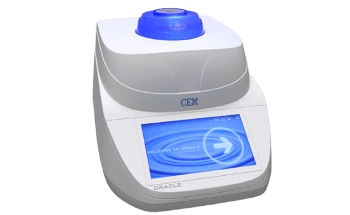 Analyze wet and dry samples with unmatched speed. The iPower® is a groundbreaking drying process based on the use of a dual-frequency energy source regulated by a smart processing system. This prevents burning and partial drying, which can occur with single frequency based Moisture Analyzers. 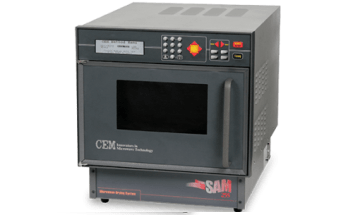 The result is a direct technique for almost any type of sample, with faster drying than traditional infrared and microwave based systems. Stray infrared irradiation can adversely impact sample temperature readings with the application of infrared temperature sensors. A SMART 6 has an exceptional honeycomb lattice providing collimated infrared irradiation for sample heating, thus avoiding stray light. This offers very accurate temperature control. Just a simple touch is what is required. 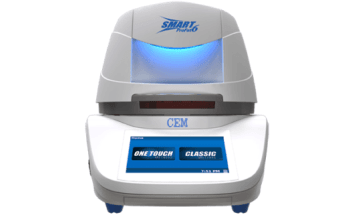 With the SMART 6 One Touch Technology, method development can be left behind. A library of ready-to-use techniques is ready for download to test almost any sample type. 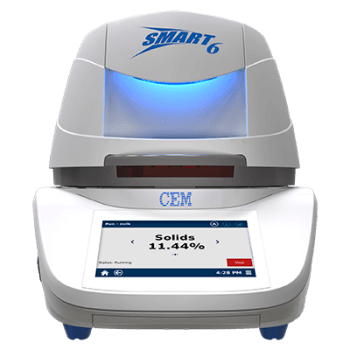 It is simple to bring a new product online with SMART 6, with little or no method development needed for most samples. Various facilities within an organization can use the same technique to produce the same results across the board.